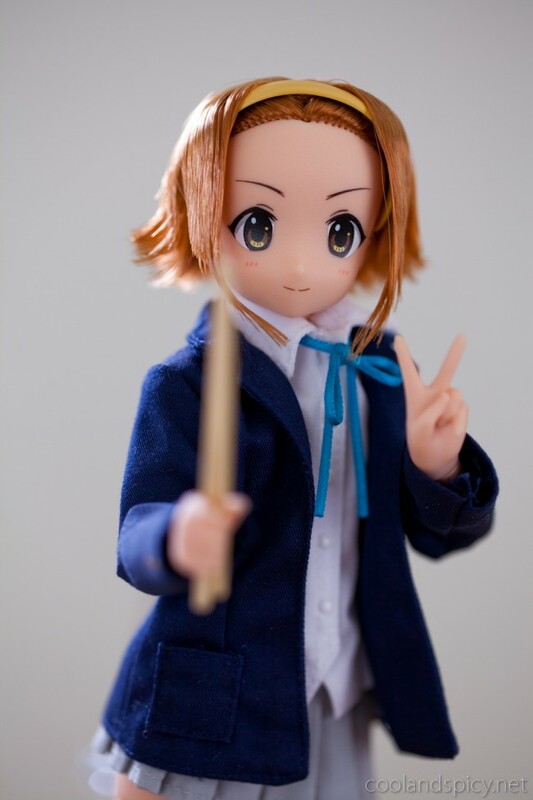 Feisty drummer girl Ritsu makes her appearance! 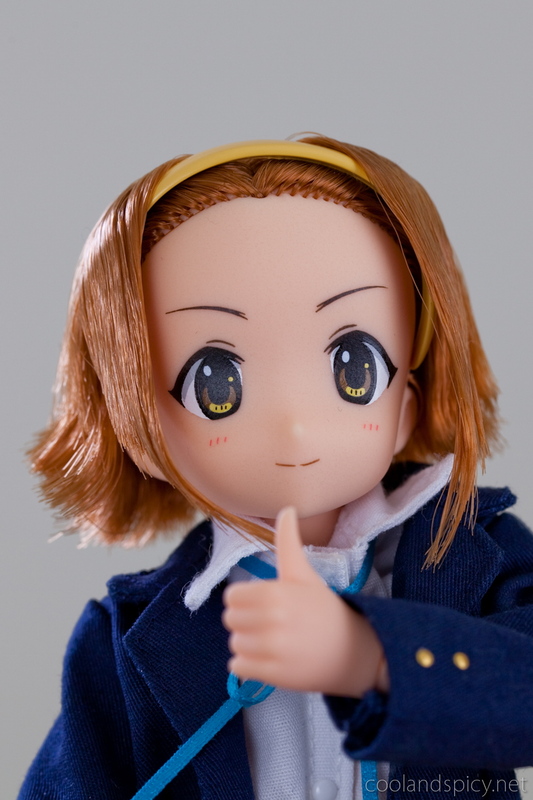 Azone pulled an evil move and made Ritsu a Wonder Festival exclusive item. Well, not exclusive to the event itself, but she was only sold online at Azonet and TBS ishop. 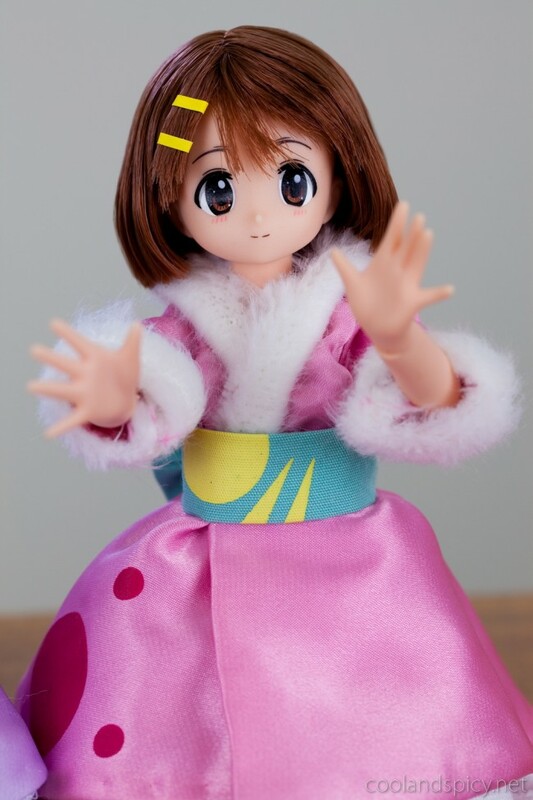 Had to use a deputy service to order her and ended up costing quite a bit more than Yui. Not cool, Azone! 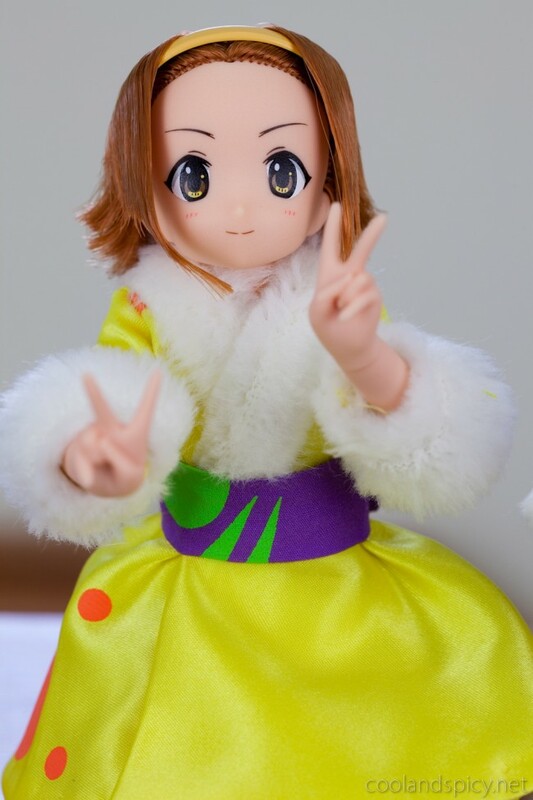 Sadly, no drums were included with Ritsu but they did give me some drumsticks ^^; She also came with an alternative outfit which you will see a bit further down. 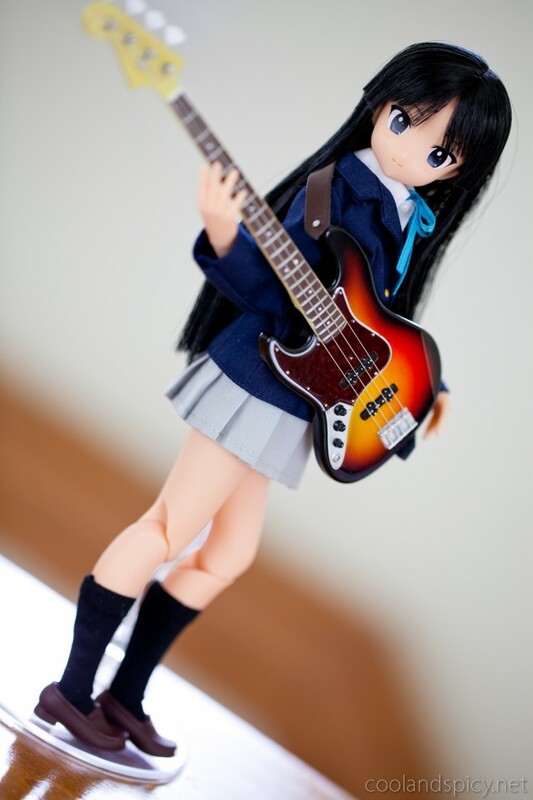 Like Yui’s Gita, Mio’s bass is nicely detailed with real strings and all. 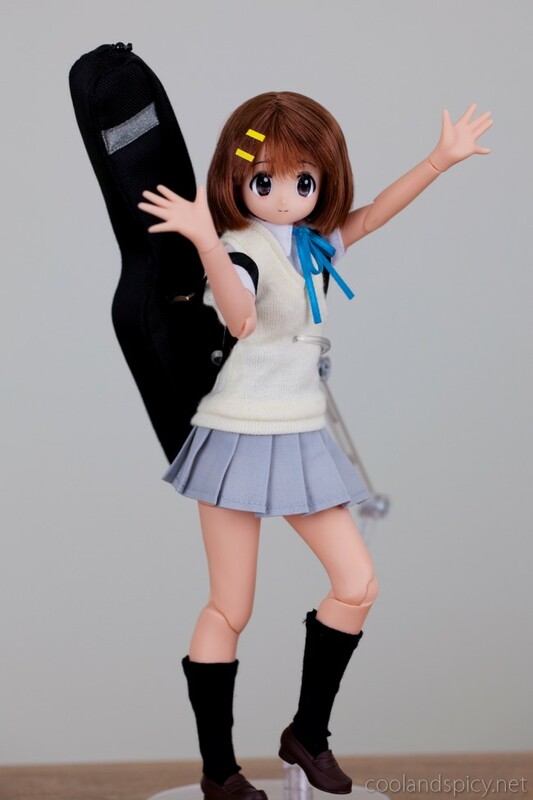 At the same time Azone released Ritsu, they also released some accessories for the K-ON! girls. One of the items had Yui’s guitar case. 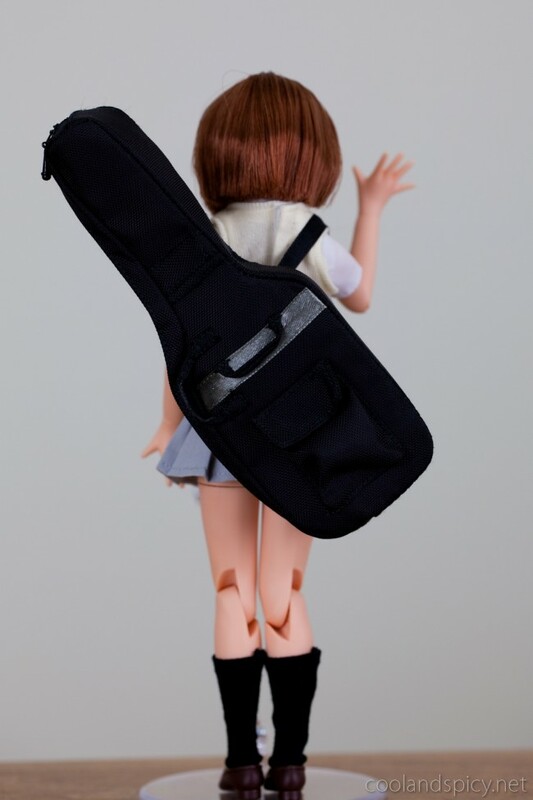 The other item in the bag set was Yui’s school bag. 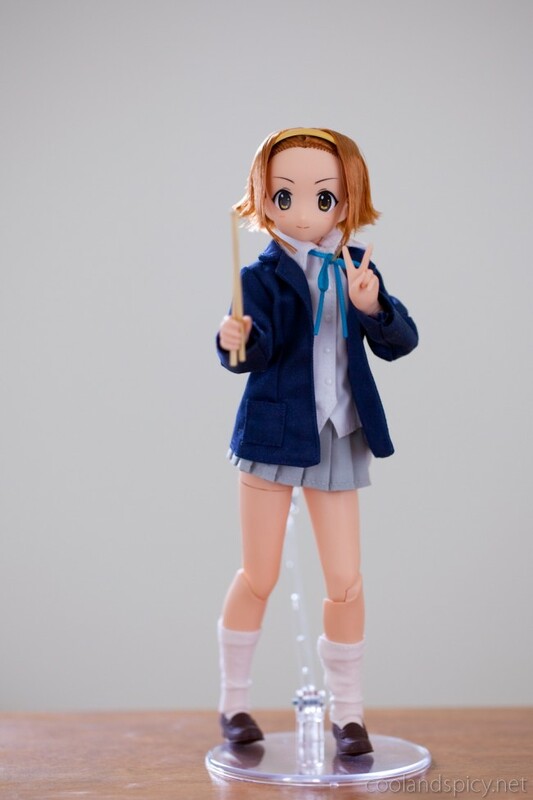 Now on to the really good stuff :D Remember how I said Ritsu did not come with her drum set? A bit of a disappointment but understandable considering how large and detailed it would have to be. 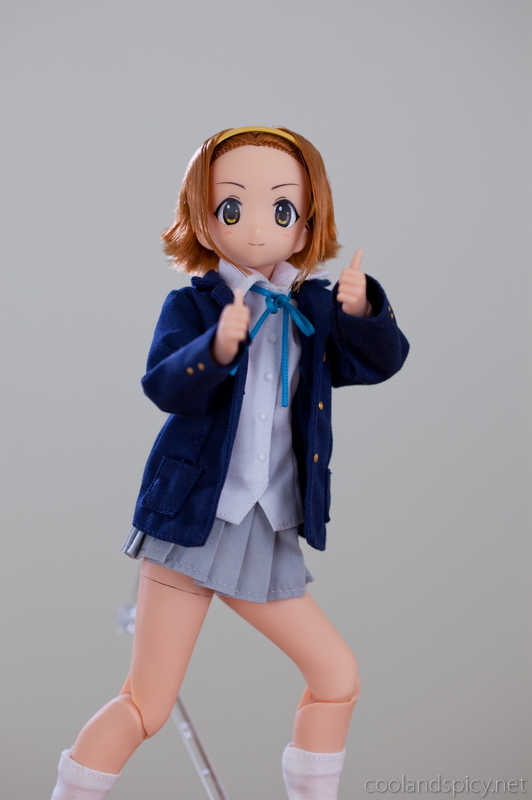 Instead, Azone gave us an full, extra outfit for Ritsu. 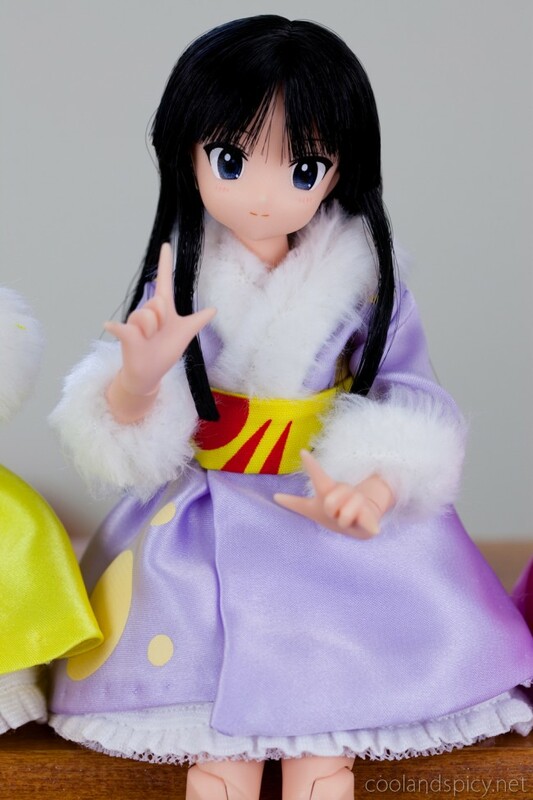 Her school festival live outfit ^^. 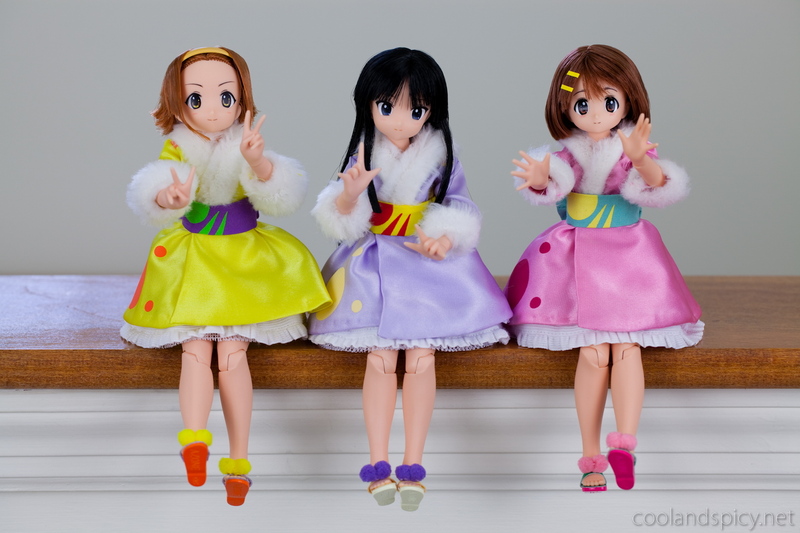 While Ritsu’s live outfit was included in her package, Mio’s and Yui’s live outfits were separate accessories. I decided to buy them ^^. They’re fairly well made with a soft, polyester material. They have fuzzy linings and each comes with a removable sash. 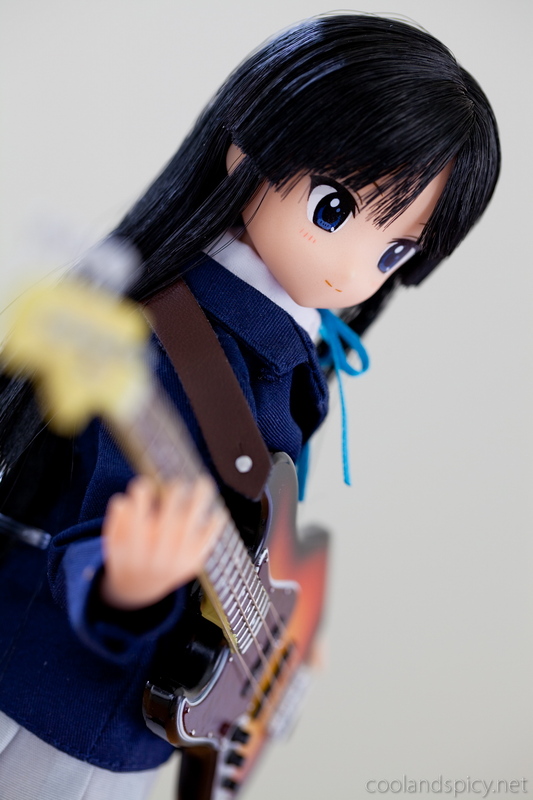 My Azone K-ON! collection is now 3/5 complete. Only Mugi and Azusa remain. Unless they decide to release Ui or some of the other secondary characters ^^; I’m not entirely sure if I will be completing the rest of the set. As much as I like these dolls, I definitely like Yui the most and Mugi and Azusa probably won’t change that. Plus, they’re a bit expensive and I’ve been trying to save for other things. 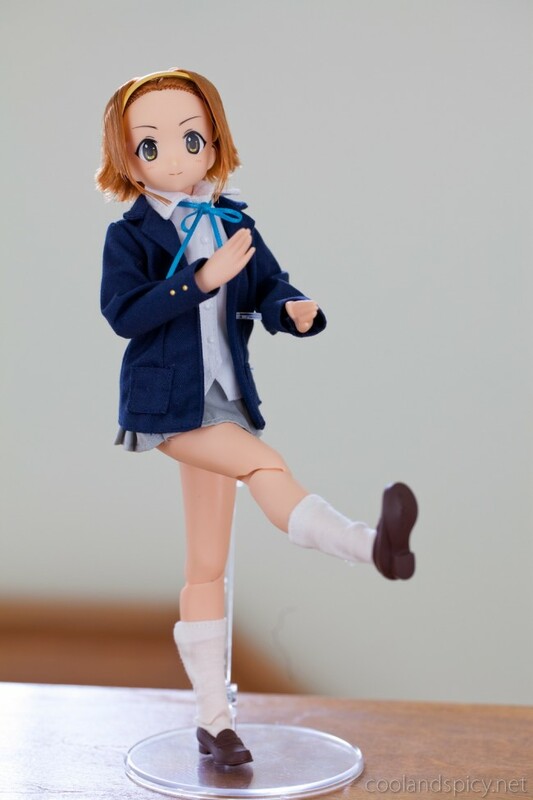 Well, I currently have Mugi on pre-order. I might just decide to keep it that way ^^; Hope you liked the piccies. Until next time! Mio looks so polished and straight compared to Ritsu. .-= mefloraine´s last post… 30 Hideyoshi Images =-. .-= Ippiki Ookami´s last post… C77 Goods+ =-. .-= Wolfheinrich´s last post… The Fourteenth Dollfie Dream Daughter – Estel Freesia- =-. DD versions? Hmmm, I would love to have them. Maybe some day! nicely done actually, quite suprising. 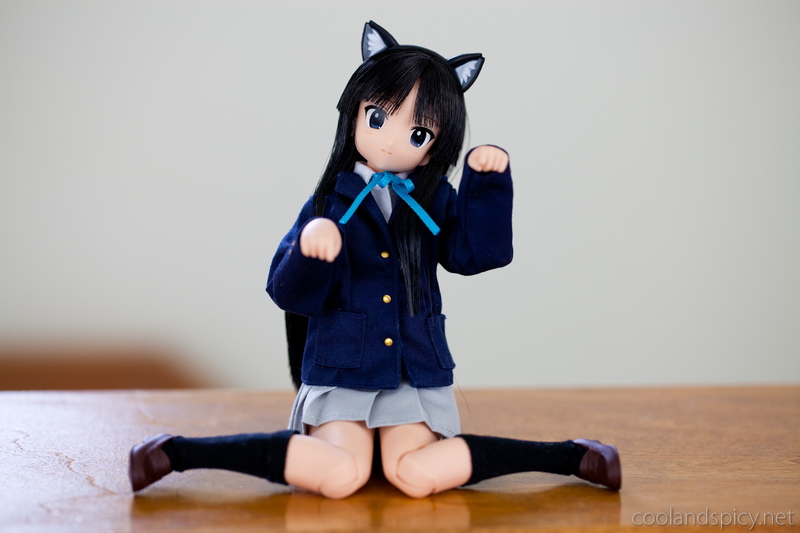 nice neko-mimi and how to sit!! 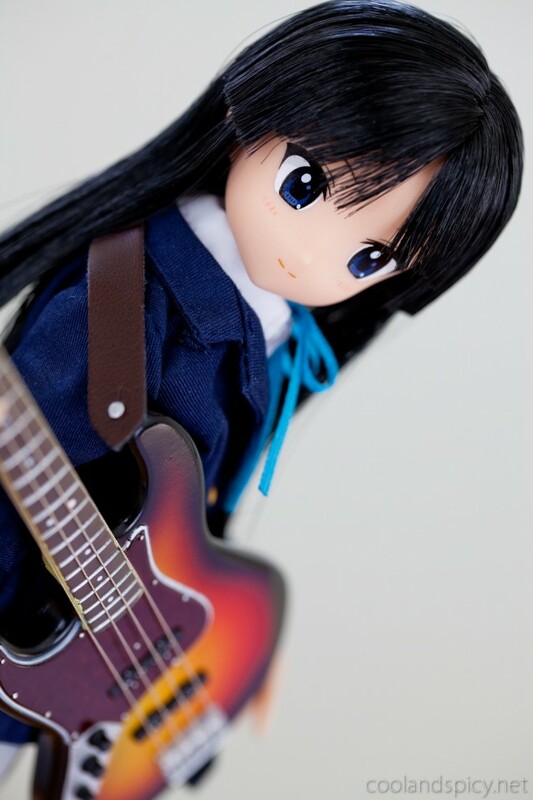 Mio is cool and cute. 3/5…i want to see Azunyan, too. .-= mangajet´s last post… “HUNTER×HUNTER” the latest ep.301 =-. 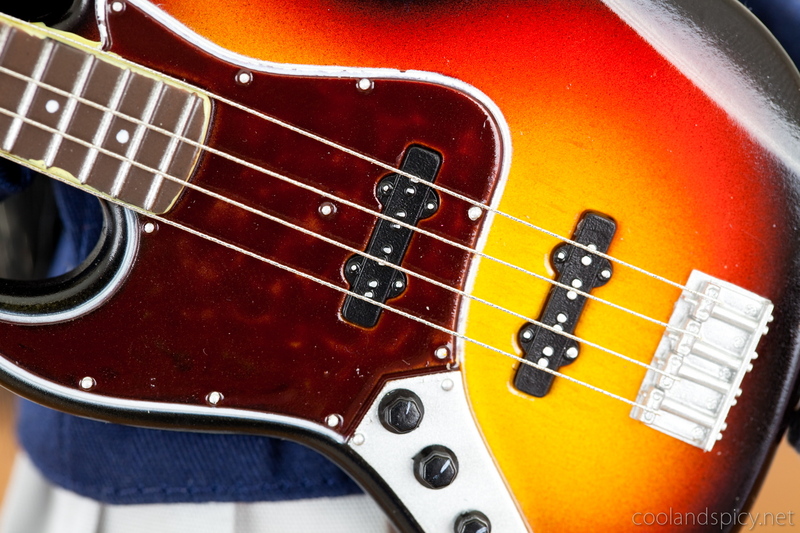 Those bass strings almost looks strummable. Are they strummable >.<? How'd they do those? The shimapan certainly is vital, is that cotton? Yeah, you can see the hair “roots” but only if you look very close. 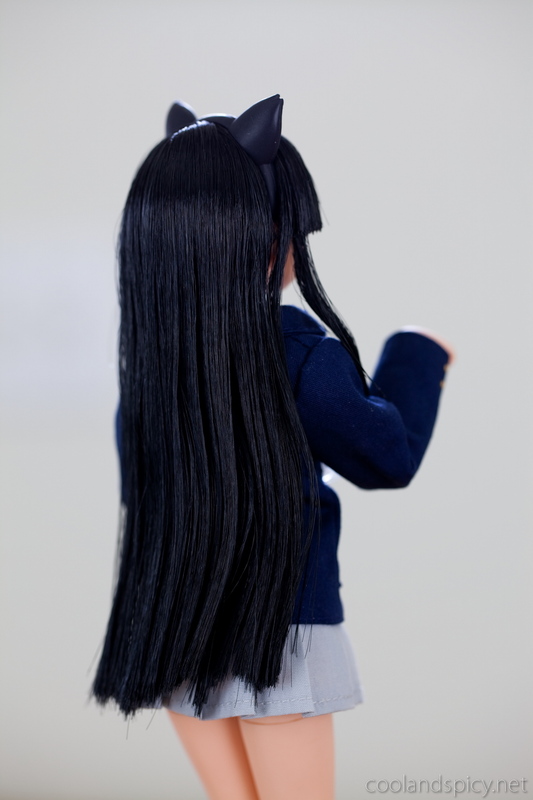 That photo was taken with a macro lens, so you don’t normally see it like that ;) Plus, Ritsu is the only doll that has hair pulled back like that. The other girls all have hair hanging down which covers the roots entirely. Too bad the Azone faces tend to look a little flat. As it is, haven’t jumped on the doll bandwagon so while they are cute, not entirely my thing. They do make lovely photo subjects though. .-= Smithy´s last post… So-Ra-No-Wo-To 12 final =-. .-= meronpan´s last post… 初恋限定 ~ Hatsukoi Limited =-. Though from the preview images I’ve seen, Mugi is looking quite cute as well. Haven’t seen what Azusa will look like yet! .-= Xine´s last post… Senjougahara Hitagi by Good Smile Company =-. Good luck with your collection! I can’t wait to see it complete! 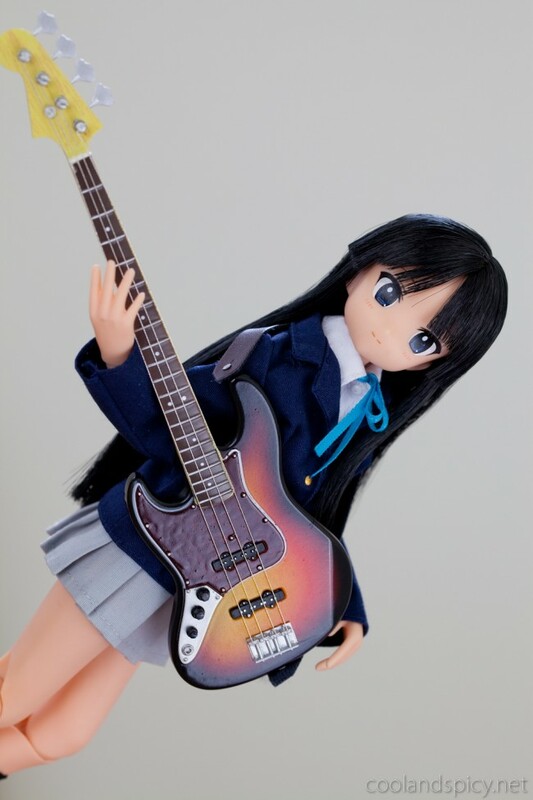 I’m not a big K-On! 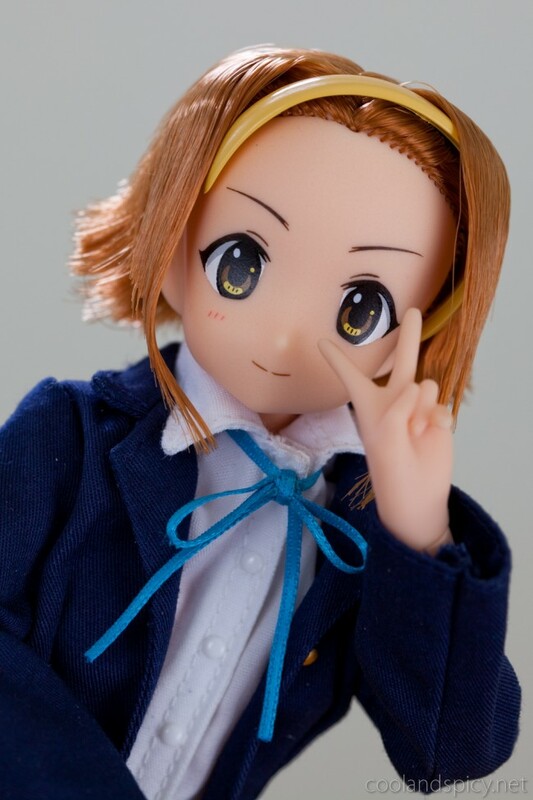 fan but Ritsu is my favorite of the bunch by far. BUT regardless of if I like the show or not these dolls are adorable! CUTE! Now… how much damage did they give to your wallet? .-= ninjovee´s last post… Black★Rock Shooter Love! ♥ =-. 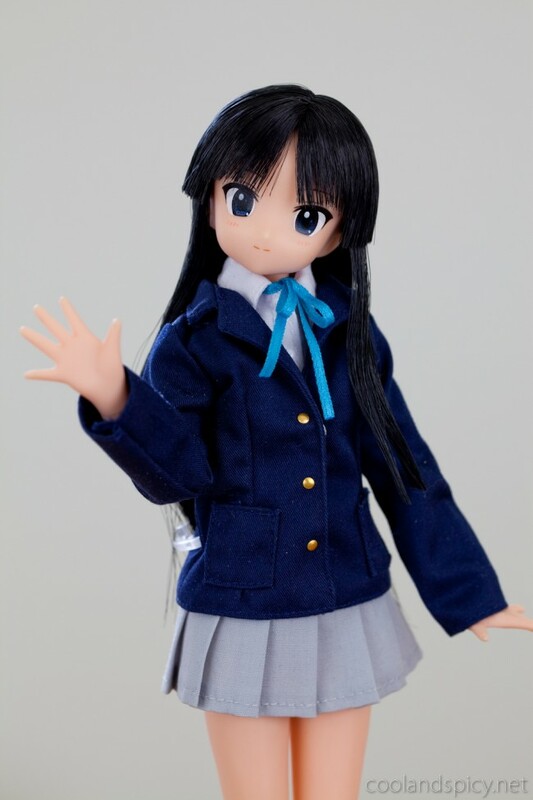 Let’s see… I was able to score Mio for a very reasonable 11,900 yen from Hobby Search. Hm. I wonder if they made Ritsu a WF exclusive because they knew she won’t sell as much as the others. Hmmm. I do know for a fact that I don’t like Ritsu’s hair at all Dx But I guess that’s the most they could do to stay faithful to Ritsu’s chara design. Note that Azu-nyan is going to be the first doll made with a brand new Azone body called “Pure Neemo Flection S”. 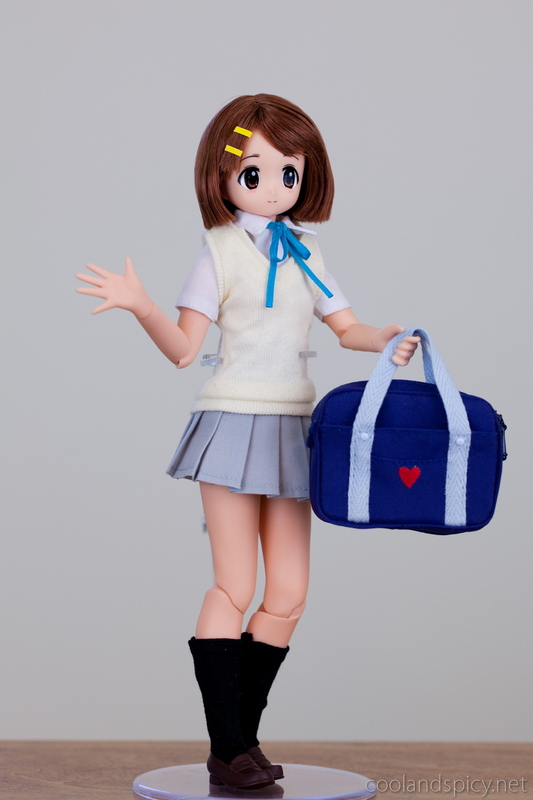 The new body’s about 2 cm shorter than the original Flection, and has a more girlish figure with smaller hips and bust.